Richard Cottrell is an expert in animating epigrammatic, ideas–heavy plays (last year’s Arms and the Man being just one lovely example) and true to form…..Arcadia fairly purrs….Stoppard’s zinging dialogue is crisply enunciated, not a word lost or thought obscured. The brilliant cast…weaves Stoppard’s gossamer fine threads into one of the tightest and most entertaining plots ever devised. That each manages his or her part is a testament to their individual talents and to the way the Director has orchestrated the ensemble into a magical whole. True to the Director’s successful track record with the company, Richard Cottrell’s vision played out perfectly. 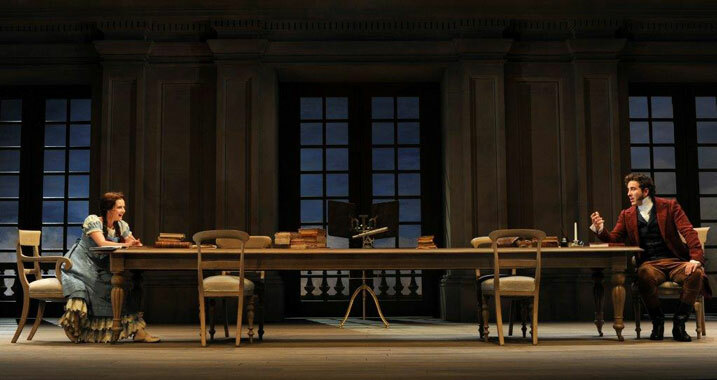 The static set, though a picture of grandeur, is generally bare, drawing all the focus on the wonderfully selected cast…..the individual performances blended to create a sensational whole…it was a real pleasure to spend the night being entertained by the genius of this production. Richard Cottrell’s insistence on clarity and pinpoint timing serves this elegantly contrived satire on inflated romantic and military passion extremely well…his production is precise and poised. Dialogue is crisply enunciated, cues timed to razor thin tolerances. Every word and every loaded glance is made available to us. 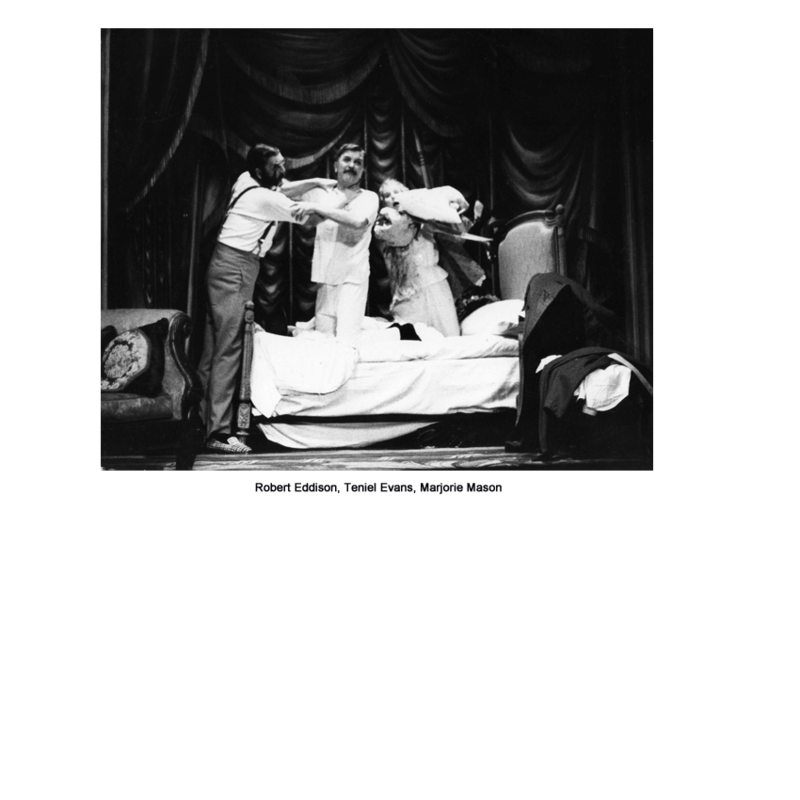 Each member of the cast are brilliant comically in their own right, yet it is when the act together that the magic happens….this is an exceptional version of the Shaw classic. 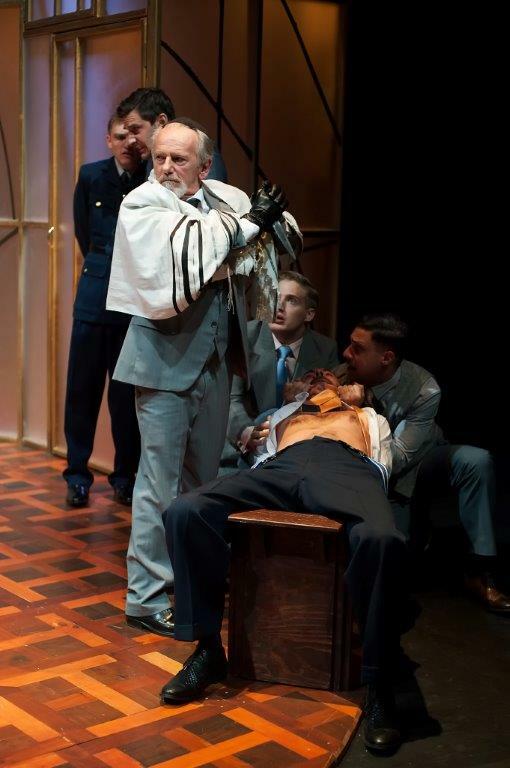 Under the expert direction of Richard Cottrell, Sport for Jove have brought us a most impressive version of one of Shakespeare’s most troubling plays…..at the centre…is its troubling anti-semitic portrait of Shylock…. John Turnbull is fascinating – he is cold, implacable and chilling in the courtroom scene…it is a stylish mesmerising performance at once precise and at the same time powerful….This was a very challenging, thought-provoking and exciting production of this dark Shakespearian comedy. Sport for Jove has managed to pull in Richard Cottrell who, rather than presenting a particular ‘take’ on the toughest issues at the play’s core, digs into the characters’ objectives and relationships and then allows the text to speak for itself….the cast is led by the remarkable John Turnbull as Shylock. It is an endearing performance and you can almost end up on Shylock’s side. A blithe seemingly careless affair that quietly works to upend the cruel prejudices at the play’s core… The play belongs to John Turnbull ( as Shylock) simmering in his anger, principled and passionate…. Richard Cottrell moves the show along at a comedy clip; the tragedy happens in the quieter moments, never missed or fully overshadowed. 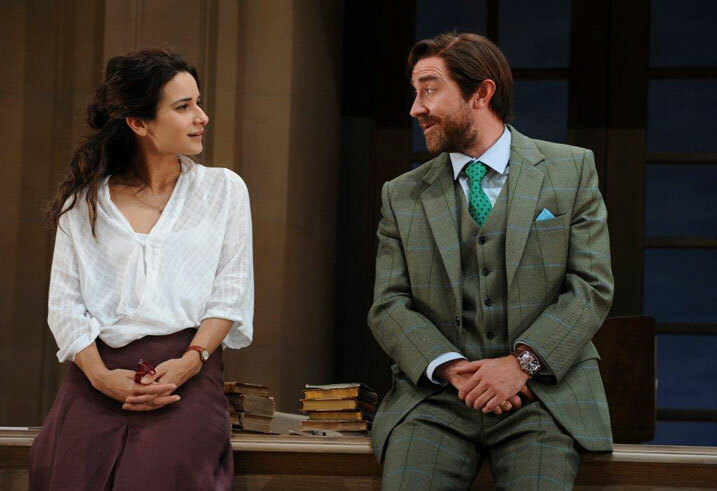 It’s an invigorating take on the play, clever and sophisticated. 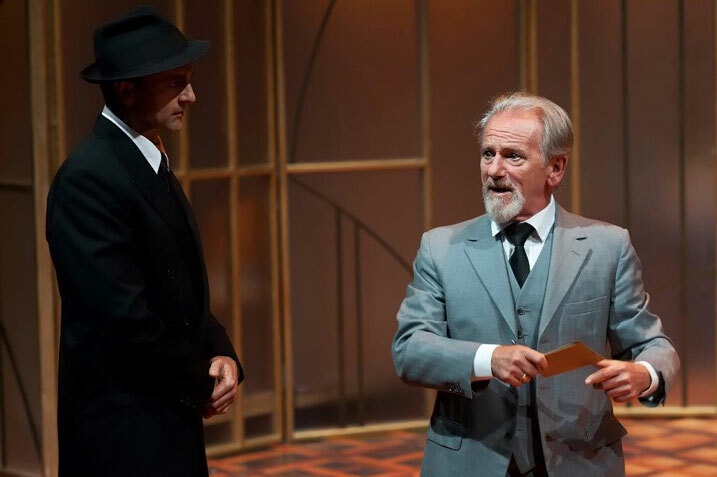 Michael Cullen and John Turnbull in Sport for Jove's The Merchant of Venice, 2015. Dracy Brown, Aaron Tsindos, John Turnbull, Christopher Stalley, James Lugton and Damien Strouthos. Richard Cottrell has directed the performances seamlessly with a great eye for detail and discipline. It is clockwork perfect with just the right gentleness of statement necessary for this kind of work. Richard Cottrell handles it with the surest pair of hands you could ask for comedy today……the technical skills and control by all parties in the enterprise are hard to come by and almost never in the same place at the same time. 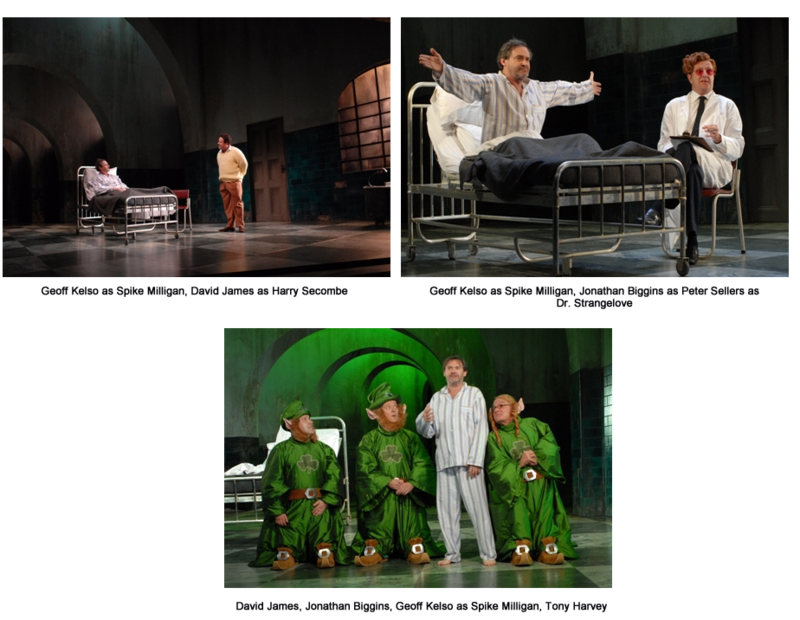 Here is a superb production, faultlessly realised by a gifted cast in the knowing care of director Richard Cottrell…. (who) knows the art of comic stagecraft probably better than anyone in this country. 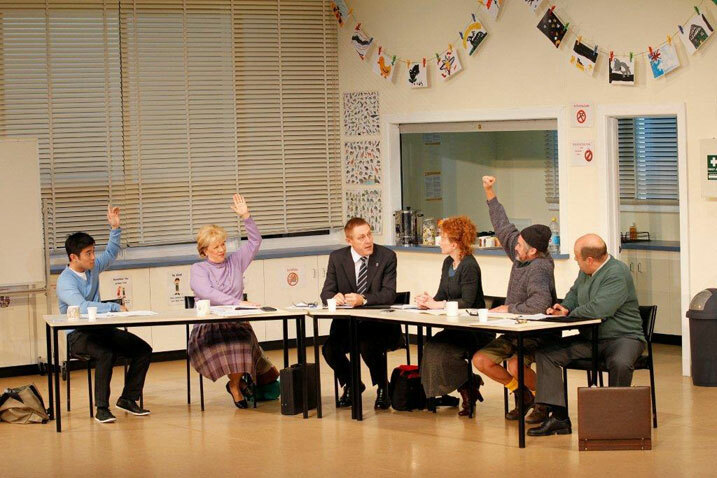 A masterpiece of political and social farce – and marvellous language ….. Richard Cottrell’s production is underscored by his understanding of that language and the importance of the actors delivering it as if it were as ordinary as a shopping list. … The result is an evening of that rare and wonderful thing: full-throated, raucous laughter…. My heart sang with the thrill of that out and out laughter and the intelligence of this delicious production. Cottrell ….. seems to extract the very best from each and every one of the actors…..this is a very satisfying production…but in the end, Cottrell’s triumph is that….he concentrates his energies on making this script the hero. Watching Richard Cottrell's new production of 'Travesties' is like body-surfing a huge, bubbling, boisterous, unpredictable, possibly dangerous and always exhilarating wave for two unforgettable hours. It threatens at any moment to break and overwhelm with myriad words, ideas and comedic challenges, but it never does. At the end, you're deposited on the beach, safe, spluttering with laughter, wonder and delight. It's one hell of a ride….the cast is impeccable….among Australia's very best and they're all at the top of their form – possibly higher than they've been before, under Cottrell's influence. 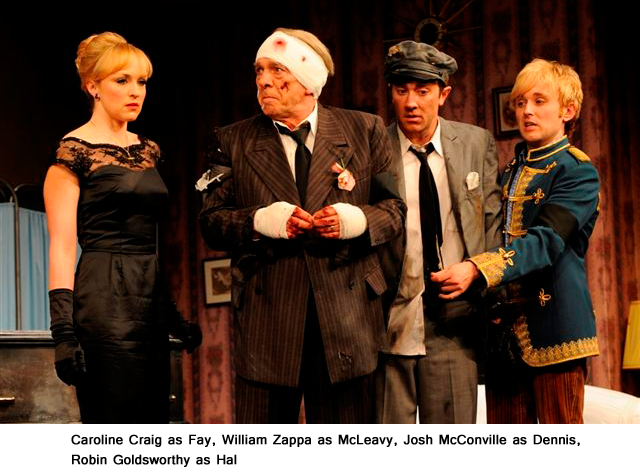 In 2007, through sending my play blind drunk at 3am in the morning to the Sydney Theatre Company via the internet, I found myself (surreally) on a plane to Australia with my then girlfriend, Clare, for the opening night of my Spike Milligan/Goons play, YING TONG, A WALK WITH THE GOONS. At the Sydney Opera House. I have always been aware that my productions on paper are funnier than the actual productions but in Australia Richard took my most comic play to levels I doubt I shall ever see again. His rapport with the actors and staff of the STC was astonishing to observe. 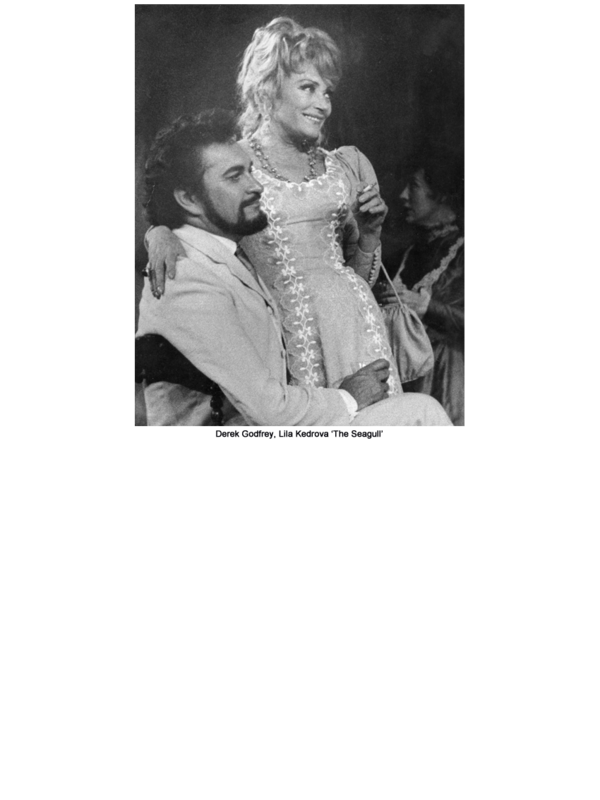 This was a brilliant man doing a brilliant production whilst being a joy to be around. Will I ever work with a director as lovely again? I hope so – but I doubt it. To walk out at the interval of YING TONG from the Opera House to stare out at the Sydney Harbour Bridge in all its glittering beauty, knowing I'd just seen the best first act of any of my productions ever will stay with me to my dying day. Richard also found time to treat my then girlfriend like a visiting queen and though we split up she asks after him relentlessly whenever we speak…this is a lovely man. Mr. Codron's mystic gaze was justified. Ah, to work with the great Ricardo again….I do hope so. Nothing will ever take away memories of that production. Richard Cottrell's production goes to town on the curiosities – skeletons, reptilian wings, an oven in the form of a dragon crowd Tim Goodchild's stage – and treats the piece like a Feydeau farce. Pert servants skitter on and off to Mark Warman's cheeky woodwind and xylophone accompaniment, followed by chases through the house and fugitives abseiling from the Doctor's wrath. This is the right approach. 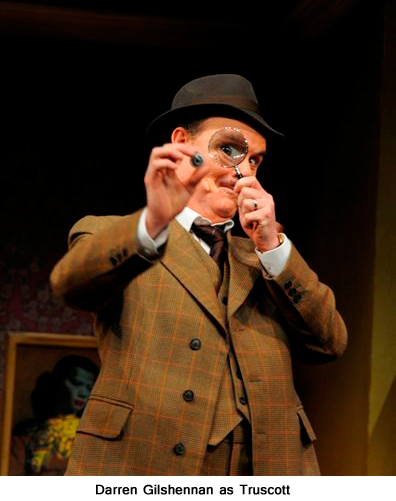 However adapted for the occasion, there is not much fun in the dialogue, whereas there is plenty in the physical business; such as the arrival of the lovers ( superb farce performances from Richard McCabe and Adam Godley) disguised as curiosities – one as an Egyptian mummy buzzing over the stage like a bumper-car, the other upright in a crocodile skin which has the effect of a hobble skirt. I've seen nothing funnier this year. It's 250 years since 'Three Hours After Marriage' was first performed at Drury Lane , where it ran for only seven nights…..the RSC has handsomely rectified this neglect with Richard Cottrell's delightful revival….Cottrell and designer Tim Goodchild successfully relocate 'Three Hours' in the late Victorian era. Entering the Swan Theatre, you encounter a set that you could spend the evening exploring. Goodchild has designed a spectacular private museum with hundreds of curios in display boxes and drawers; shells, clocks, insects and stuffed animals that include a bear and a giraffe…..'Three Hours' is an excuse for some exotic character acting, which this company seizes….Richard McCabe….and his rival, Underplot, (Adam Godley) disguise themselves as an Egyptian mummy and a crocodile in one of the funniest scenes you are likely to see. This new production…begins with a coup de theatre that is almost avant-garde by Chichester standards. An evidently well-heeled and immaculately turned-out member of the audience rises from her seat and starts wandering round the stage, clutching her copy of 'the Daily Mail'. The poor dear must have been over-doing the Pimms you think patronisingly before realising it is that excellent actress, Abigail McKern, who delivers a sharp new prologue about the evils of gossip….the enduring pertinence of Sheridan's play to today's trials by tabloid is further emphasised by Tim Goodchild's excellent design which combines classical 18th century elegance with a collage of lurid newspaper headline. Richard Cottrell's production….gains steadily in strength. Right from the start Dora Bryan, confirming her claim to be the most cherishably eccentric actress in Britain, is a joy as Mrs. Candour….Ian Carmichael, in a rare return to the stage…..poignantly portrays an elderly man who genuinely loves his infuriating young wife. The screen scene, one of the greatest tours de force in English comedy, is hilariously played by all involved. But when the screen finally falls, and Teazle is confronted with evidence of his wife's intended infidelity, Carmichael's long silence suggests real, bravely born pain that turns this brittle comedy of manners into a deeply felt comedy of the heart. 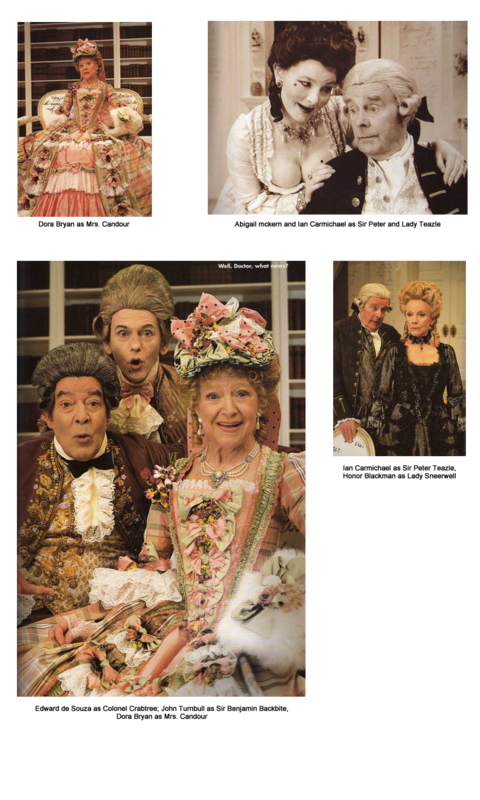 McKern is equally good as Lady Teazle, movingly transformed from pert bitchiness into pained and guileless repentance….By the end, the production has built up an impressive head of comic steam and Sheridan's infectious generosity of spirit conquers all resistance. Mr. West meanwhile matches a hair-trigger temper to a generally apoplectic spleen which is in its way classic…..in all respects Richard Cottrell's production, though never striving for novelty, is a delight. The Chichester season opens with a likeable, customer friendly production of Sheridan's youthful comedy, niftily directed by Richard Cottrell…. This is a glowing, generous production….Timothy West…as Sir Anthony, touchingly irascible and solid as a rock. Patricia Routledge is a rumbustious Mrs. Malaprop, ample and majestic as a sailing ship, watchful as an eagle dispensing her jewels of mangled English with a mixture of condescension and eager pride, as a dowager duchess, bestowing prizes at a dog show. 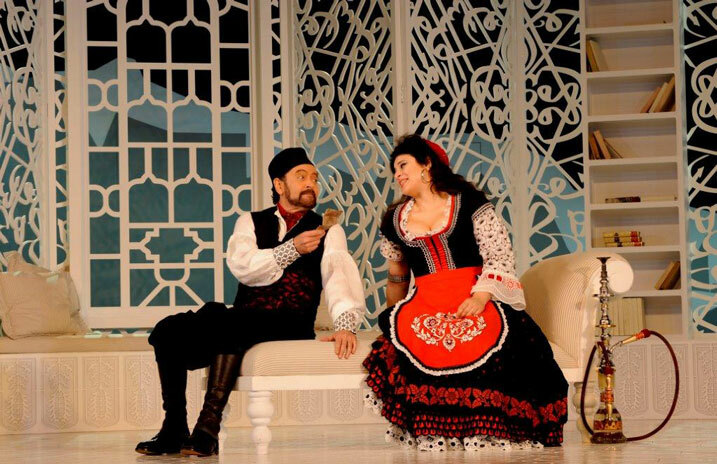 Director Richard Cottrell has produced a beautifully clean and articulate translation….these qualities infuse his production, which is never obtrusive but infuses all proceedings with pith and moment, clarity and honesty…. In the whited sepulchre of Peter Cooke's excellent design, a superb cast. connives and calculates, circles and intrigues for preference in an ancient Rome that is, one fears, a whisper away from contemporary Canberra, Washington or Whitehall….this is a splendid start to the NIDA company's new season, something special, a gap in our theatre horizon that needed filling and now seems filled with great style and skill. Excellent! What we have in 'Britannicus' is a classic play in a fine new translation, performed in modern dress and in a splendid set, by a cast which gives the best example of ensemble acting I have seen for years. Jennifer Hagan makes Agrippina a tigress, sometimes purring, sometimes, roaring, always dangerous. Dangerous too is Stephen Vidler as Nero, a petulant boy longing to be a feared tyrant, with the coldest smile in Rome. Narcissus is William Zappa, whose sinister whisper can send a chill up your spine……The play…is absolutely not to be missed by anyone who believes in the theatre as a serious art form. This is a triumph, the best production we have seen this year, as compelling as grand masters' chess as its forms of power play unfold, combine, retreat, rally and re-form. Hugo Weaving gives the best performance of his always-promising career. Here is command, relish and panache, all combining to show us intellect unbridled by scruple, going into action with the deadly precision of a tiger. It is thrilling acting. First rate. The real star is director Richard Cottrell. It makes such a difference when you know what you're doing….the production's premise is as precise and coherent and as laser beam. Its intention is clear at every point. This is not to say that there are no surprises. There are many – not circus tricks but deft revelations into the text. 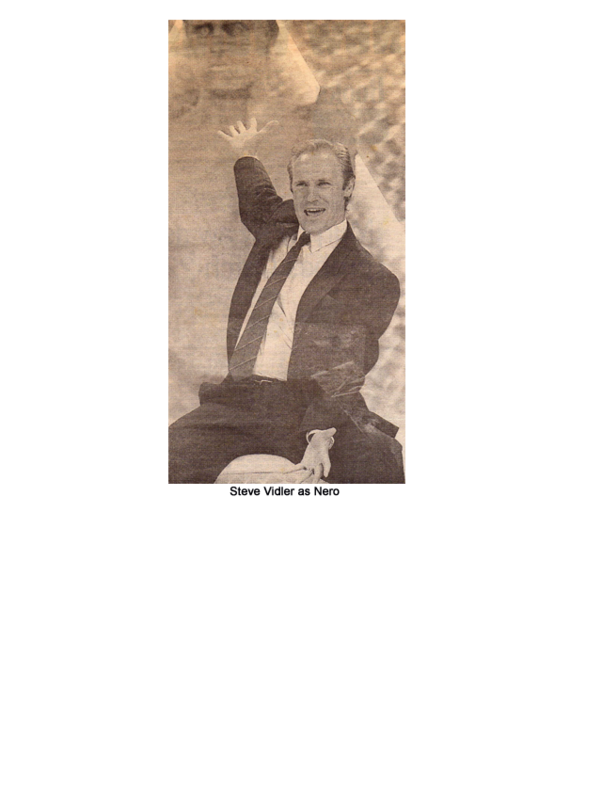 As soon as one has absorbed one surprise however, one sees where it fits and supports Cottrell's over-all concept…..the entire production is its own example of authority belonging to those who are capable of wielding it. This fast and extremely enjoyable production by Richard Cottrell….the full text with the Sly scenes wittily interpolated from Pope's edition, is given a marvellous internal clarity and bristles with happy ensemble invention….And there is a superlative dying fall, with Sly returned to his former status and the tapster suddenly awake to his worm-turning potential as he faces up to the formidable hostess of Brenda Peters. 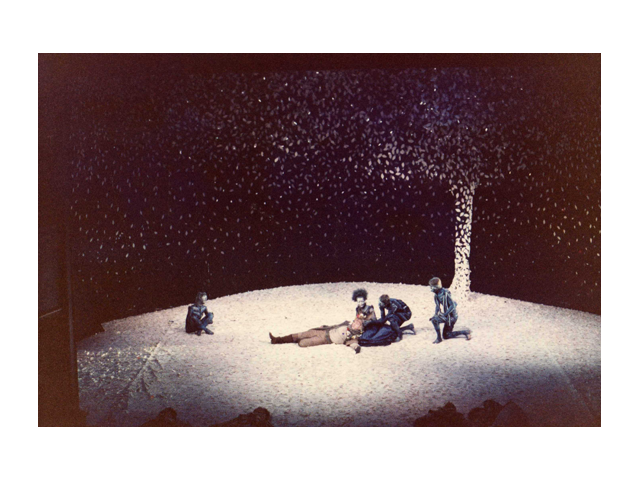 Rarely has the play glittered with such enchantment and rarely have any plays looked so magical….a breathtaking transformation of the stage into a shimmering wood, the leaves of intangible trees glittering like stars in the Milky Way….however good it looked, nothing would save it if there were not performances and a directorial vision to give the play life. Mr. Cottrell has found a convincing centre in the very process of enchantment. His Oberon and Titania….are beautiful as celestial sophisticates, briefly entangling the passions of mortals in their own elegantly perverted games…..both richly comic and suitably melancholy…..the entrance of the genuinely exotic fairies into the marble of Athens is a marvellous theatrical moment…..it is the total magic of the production, beautifully woven by Mr. Cottrell, that will be remembered long after he has left Bristol. As a piece of superb theatrecraft in every glittering department, Richard Cottrell's roaring production of this cynical, elegant, lecherous brutality has rarely, if ever, been equalled in Adelaide…. It is a remarkable play, magnificently mounted, splendidly acted and directed by a master. A macabrely grinning skull is a key symbol for Cyril Tourneur's 'The Revenger's Tragedy' and captures the mood of Richard Cottrell's brilliant production for the State Theatre Company. Harrowing in its portrait of depraved humanity the play is still hilarious as it presents the ludicrous side of human behaviour – particularly misspent sexuality. Ivar Kants, Geoffrey Rush, Dennis Olsen, Simon Burke are all powerful performers but the whole cast is first class. Jim Cotter's music, the KISS-like make up, the urgent pacing of lighting and scene shifting heightens the impact of the play. It's tremendous for the STC and Adelaide audiences. It is perhaps too early wholly to measure the merits of the company's (Bristol Old Vic) new director Richard Cottrell on the strength of his first play here. The touch is light, sharp, astute and undeniably theatrical. Box office records are being broken and he can take heart in a flawless start. It is a bracing choice on his part. David Foot. The Guardian. 1975. Richard Cottrell understands Feydeau better than anyone in this country. The characters he shows us are genuine caricatures of the French bourgeoisie; not the rough, crude caricatures of the comic strips of our day, but the elegant designs of artists like Caran-d'Arche that could almost pass for realism until you look for the cunning exaggeration of his significant points…….Robin Archer's colourful designs…provide exactly the right background for this stylish performance of a play so beautifully appreciated by the whole company. As he showed in 'The Birdwatcher' several seasons back, Richard Cottrell is one of the few English directors who can capture the manic precision of French farce…. 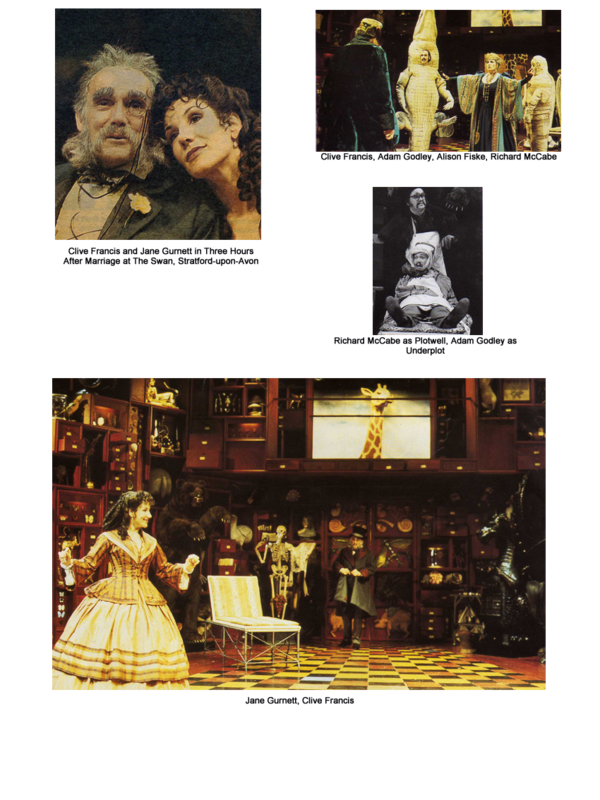 (his) production gives the right Feydeau sensation of a world sliding into chaos in which every detail is microscopically exact; and even the tiniest role is given its own exuberant life. 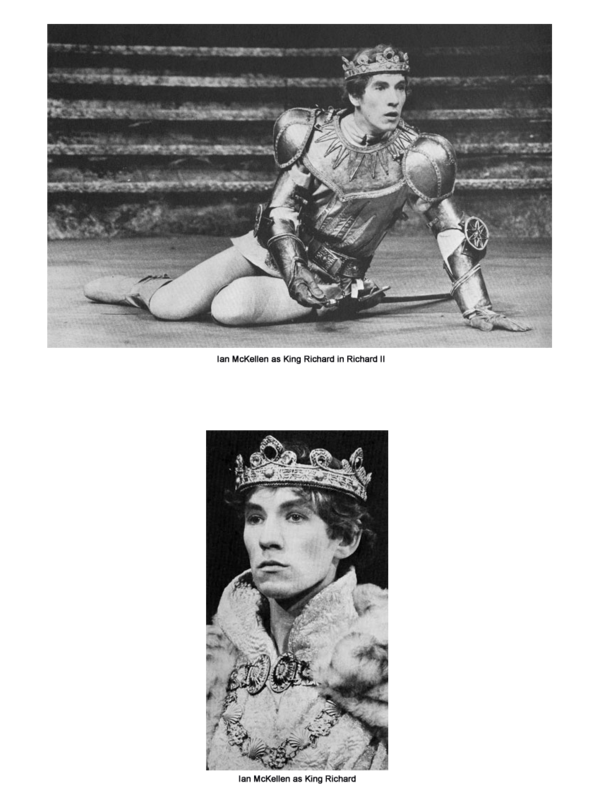 The uncontested triumph of the Edinburgh Festival so far has been that of Ian McKellen and the Prospect Theatre Company in their production of Richard II directed by Richard Cottrell. Cambridge and Guildford already know the splendour of Mr. McKellen's deified performance but Edinburgh is the first capital city to be given the chance of tasting its vast excitement. It has received Mr. McKellen and the production itself, which is all glorious with flamboyant colours of gold and red, with a tumult of acclaim….the whole production deserves the rapture with which it has been received. En tout cas, Lila Kedrova, jouant en anglais, a souvent ému des spectateurs enthousiastes. Grâce à elle, on a entendu, derrière les rires, la petite musique de Chekhov. 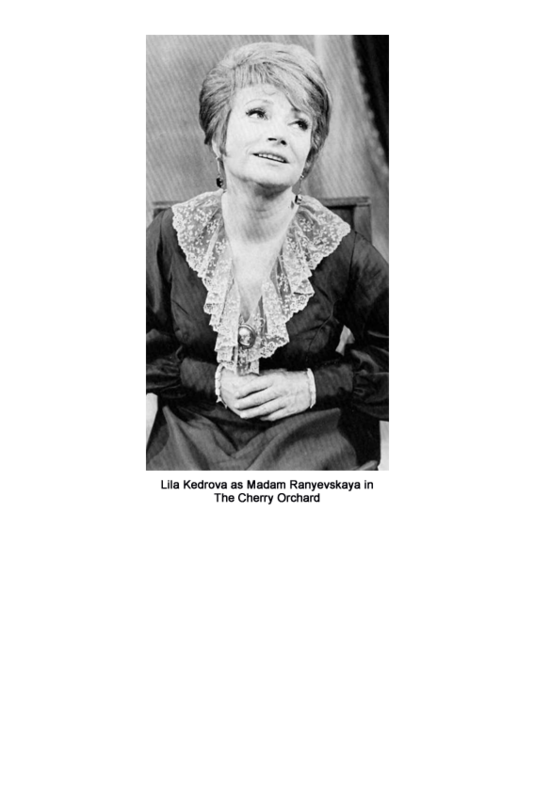 This moving and versatile production….is based on two superlative performances by Lila Kedrova and Patrick Wymark. 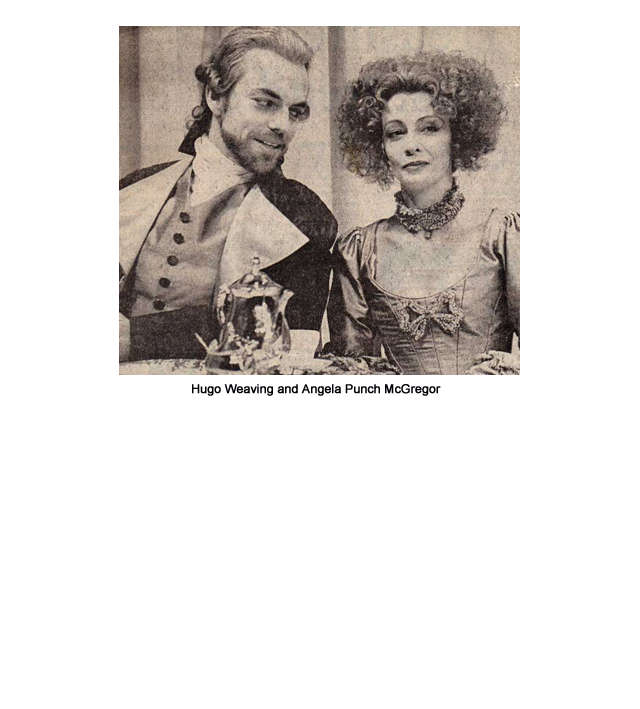 ( as Ranyevskaya and Lopakhin) Mme.Kedrova's portrayal here is a sustained masterpiece of bewildered but proud nobility…Mr.Wymark, too long absent from roles of such complexity , gives a virtuoso account of Lopakhin….the production as a whole is a remarkable attempt to relate the play to Chekhov's work as a whole…accordingly Mr Cottrell exploits the sheer comic richness of the play and some of its best moments are when inspired idiocy modulates swiftly to poignant pathos. This 'Cherry Orchard' is not simply of West End standard it is one of the two or three best things to be seen anywhere in the West End and has, in the authority, the emotional range and humour of Lila Kedrova's Ranyevskaya, a masterpiece of any time or place. Richard Cottrell's firm and subtle production scrupulously brings out what is often smothered beneath a generalised nostalgia, the analytical clarity, the harshness and glancing delicacy, the fine, supple and infinitely complex fragmentation of moods, which make this that very rare event, a masterpiece of the twentieth century. 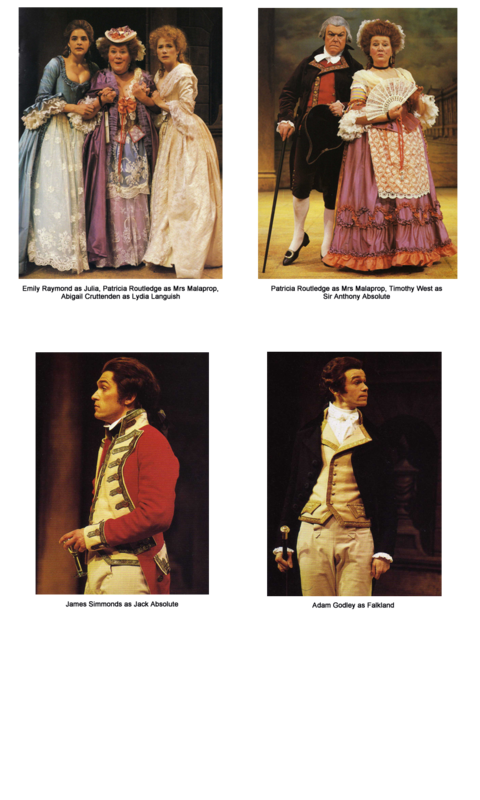 Richard Cottrell….has translated and directed it at a good pace, with the asides, agonies and prevarications tumbling out in splendid profusion……You do not get Feydeau done much better than this even in Paris. 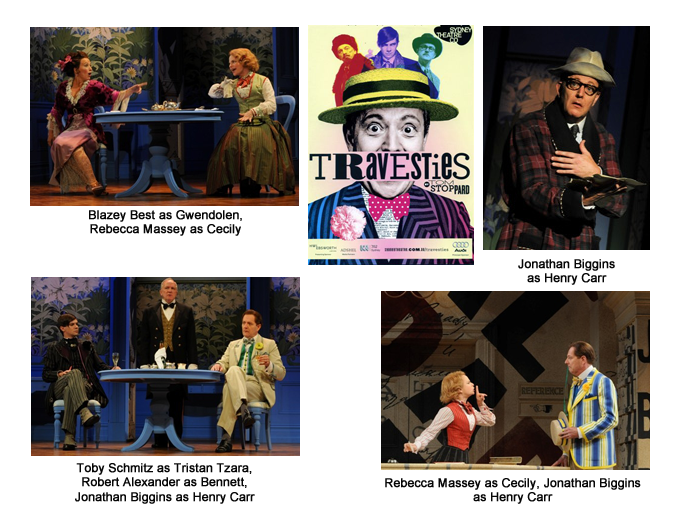 A resourceful and spirited production….translation and direction are both by Richard Cottrell and both are exemplary….the production has a verve, inventiveness and dignity such as English farce playing rarely achieves.